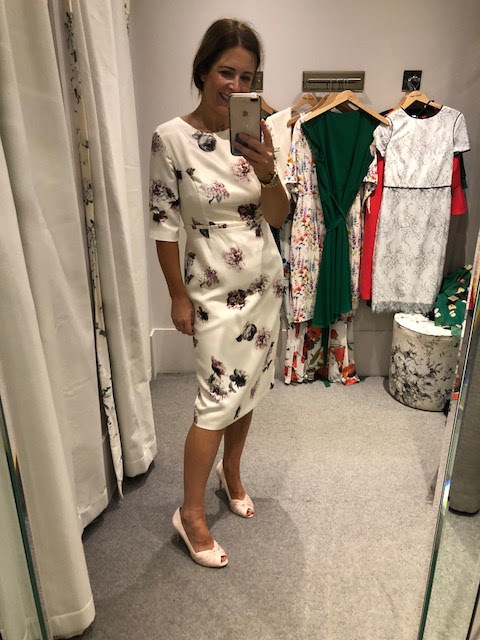 I'm asked all the time about occasion wear but I'm at a stage in my life where I don't really go to that many weddings anymore. However, I have one next week which seems to have crept up on me - how on earth is is July in 2 days time?! 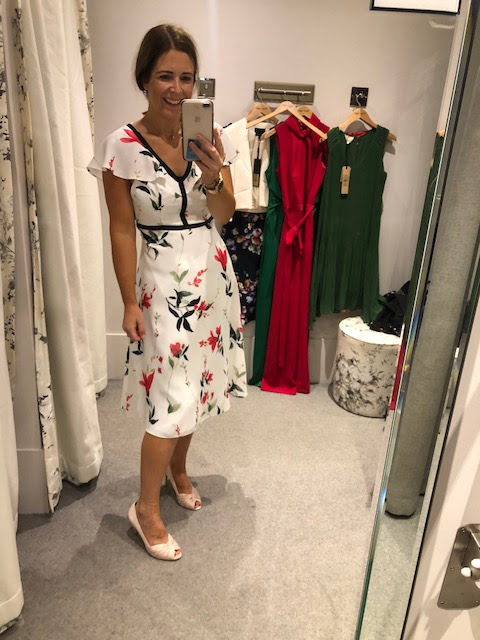 I was in full on panic mode when I got an email from Cara, the manager in Phase Eight in Victoria Square with an invite to come in and take advantage of their personal shopping service. Epic timing. 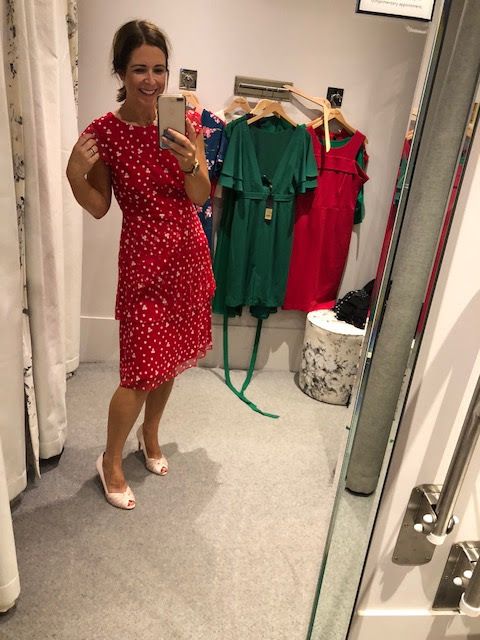 So today I spent my last few hours of freedom ahead of 9 weeks of school holidays to try on about 20 dresses. Exhausting but the air con in Phase Eight is good...an observation I don't think I've ever had to make before this week. I'm not going to say too much about each dress - instead let you see them on me and link to them. I will tell you the size I'm wearing though, mainly because I didn't find the sizing to be consistent and you might want to size up or down in certain dresses. 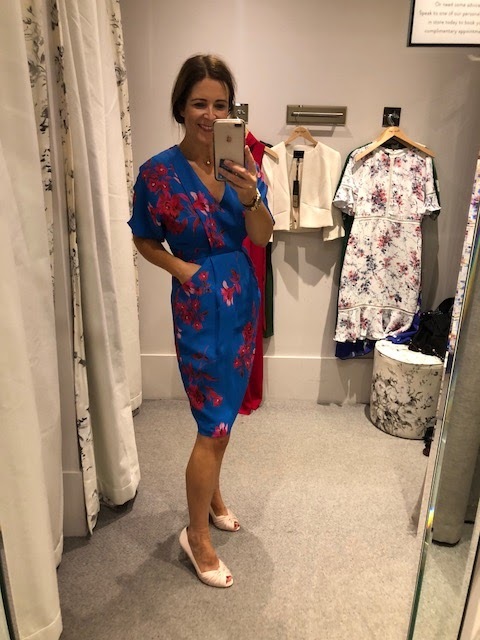 Just to also say that about half of what I tried on is in the sale now so sizes are limited. 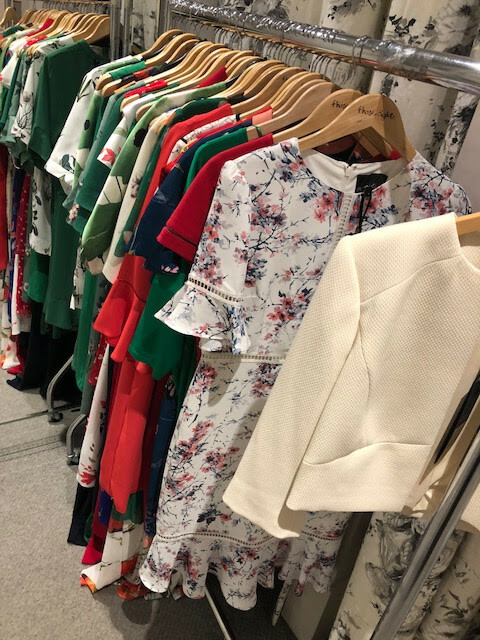 However, if you are in the shop, the girls will do their best to source you one from another store - a further benefit of going in to try before you buy. I'll kick off with a colour theme that ran throughout the morning.....red. 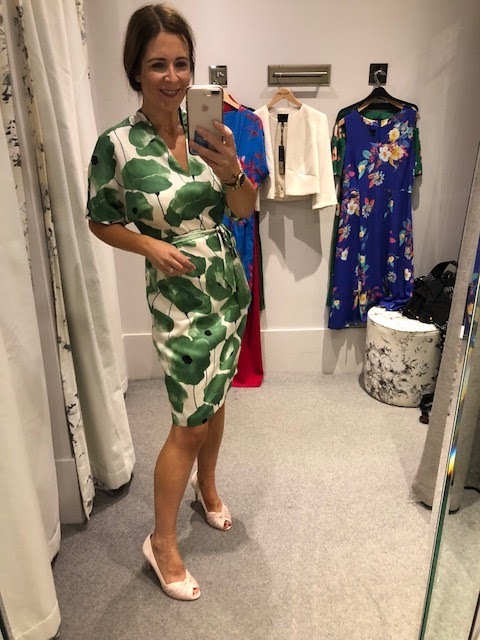 This was a fab jersey print dress that could work well on lots of occasions and I also think it's a workwear option for some people...depends on your office I know but I'd happily wear this if I still worked in my old (proper) job. and I tried on a LOT of green too. This loose swing style dress comes in a gorgeous warm shade called cactus. Perfect for autumn colour palates. 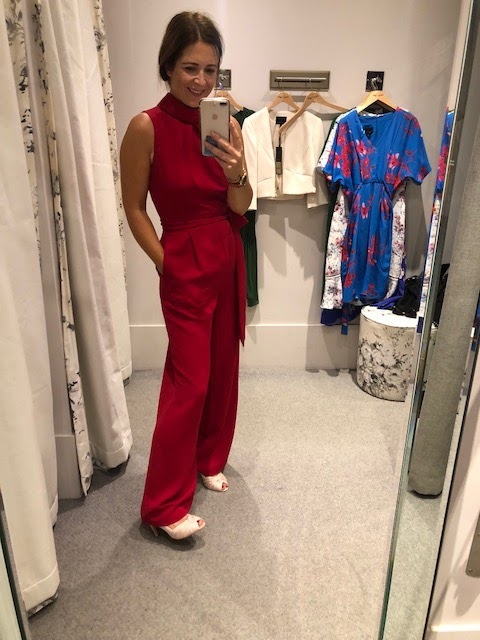 Just the one jumpsuit - this is from new stock coming in and it's an absolutely stunning fit. Felt a bit warm for a summer wedding though. But one to remember for a winter occasion. 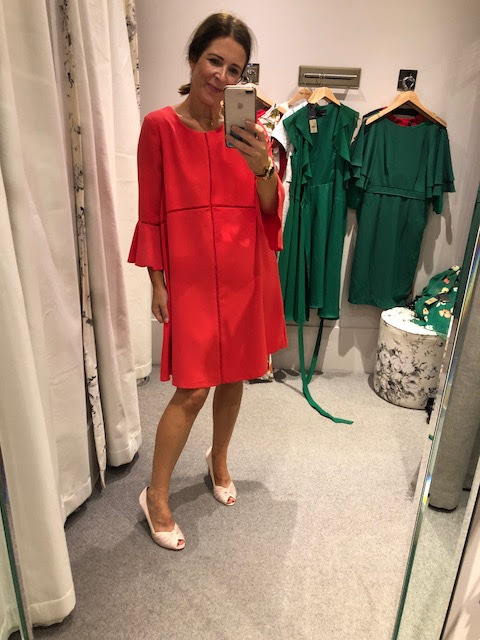 This next dress was a surprising hit - it's got a very flattering arm design, a tie waist detail and pockets...what's not to love? The colour in my photos is a more accurate representation of what it is in real life - it's not as turquoise as the website shows. On the hanger the next dress was not talking to me but when I put it on, I was blown away. It's such flattering fit and very wedding appropriate. This dress looks blue in the photo but it's actually a purple shade. Lovely midi length with little splits around the hem. 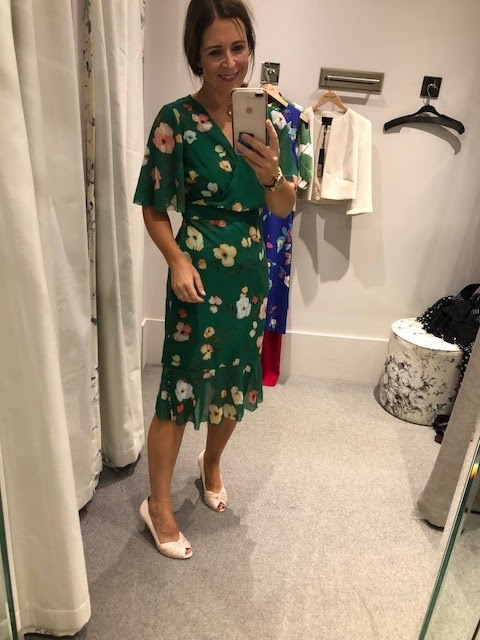 Told you there was a lot of green - this has all the flattering tick marks - floaty sleeves, frill hem, nipped in at the waist. Along with lots of colours to tie in with your outfit. 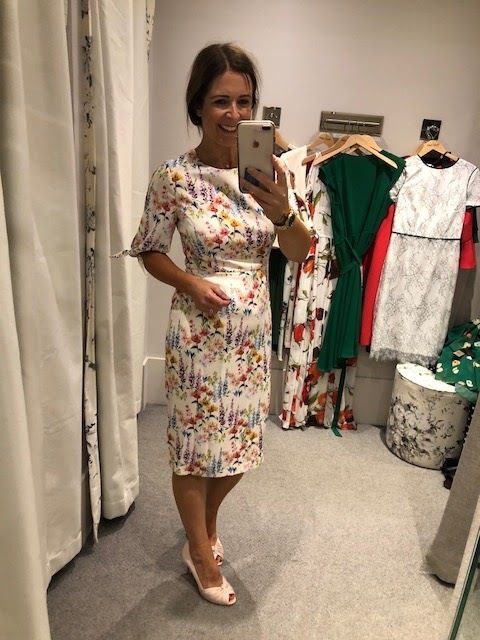 A slightly more formal option here - very mother of the bride appropriate with some beautiful pinks and plums that can be lifted in your shoes/bag etc. 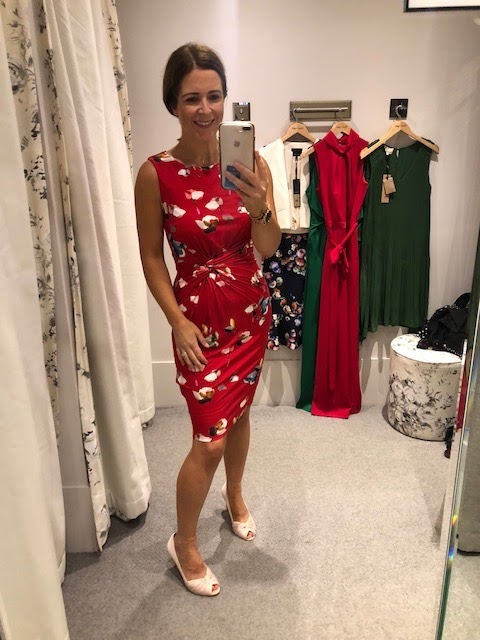 until this next red one was tried on...an amazing body con option for anyone who wants to show off their curves. It's the most stunning fit and you can't see on the photo but it's got a rose gold zip down the entire back of the dress. 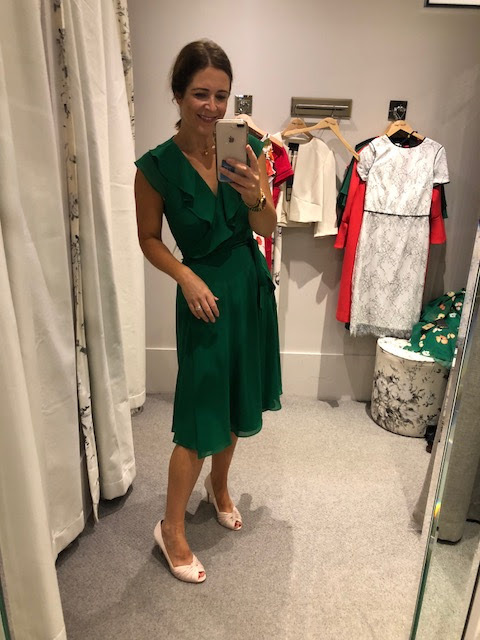 Back to green and I really loved the simplicity of this wrap dress with frill collar. It fitted me perfectly and can be accessorised with so much - including leopard! A less flattering one for me next but I'm sharing it because it's a brilliant option for an apple figure as it's nicely fitted around the shoulders and arms but then flares out to skim over hips and tummy. Even better if you're tall with legs to show off! 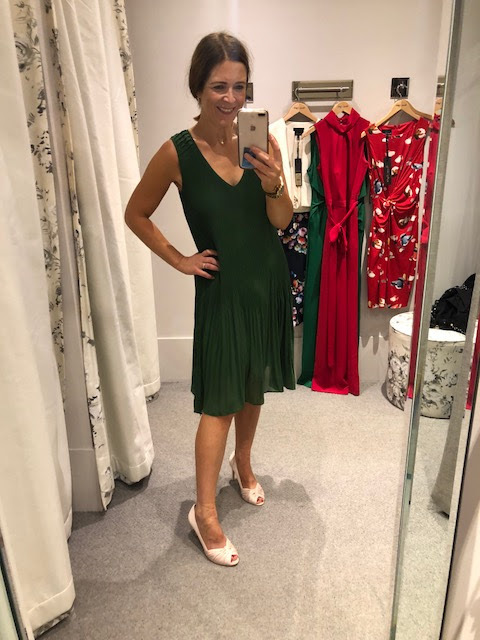 This next green dress was a real showstopper for me - exactly the right fit and so classy though if you look on the link, you'll see it has a bare back which scares me a little! There's also a matching fascinator - instant outfit sorted! 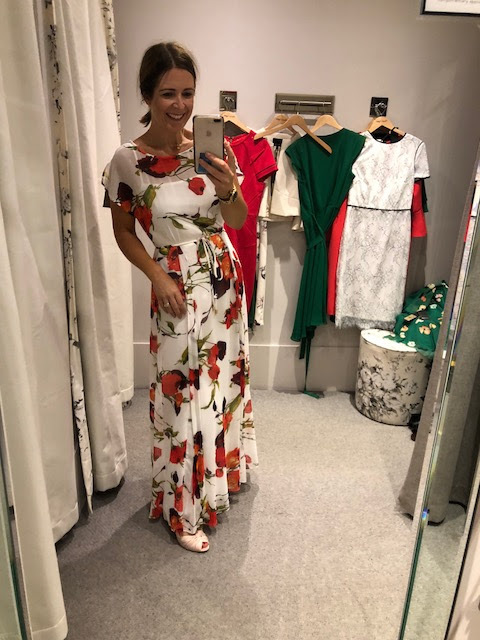 and here's the massive rail of dresses that I tried on - some are doubled up here as I tried a couple of sizes but it's amazing what you can achieve with a couple of hours of focussed shopping! 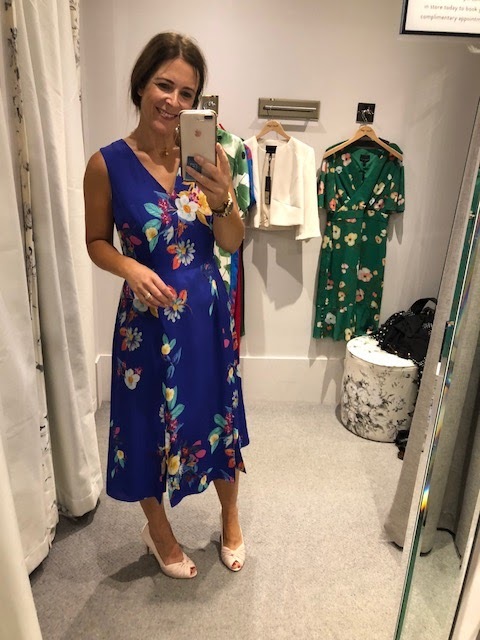 At the end of the session, Cara, the Manager offered me a dress of my choice from the selection I tried on and after much deliberation, I picked one for next week's wedding...and I'm mulling over setting another one aside. Which one did I pick I hear you ask? Well you'll have to wait until next Saturday to see on Instagram....I can't reveal before then. Though if you're going to Lucy's wedding too and wearing any of the above, do drop me a private message 😬. 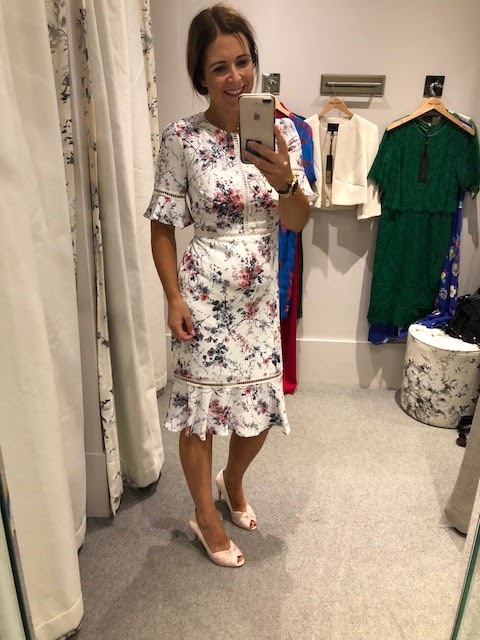 Finishing with my outfit today....another 29 degree day in Belfast.....phew! 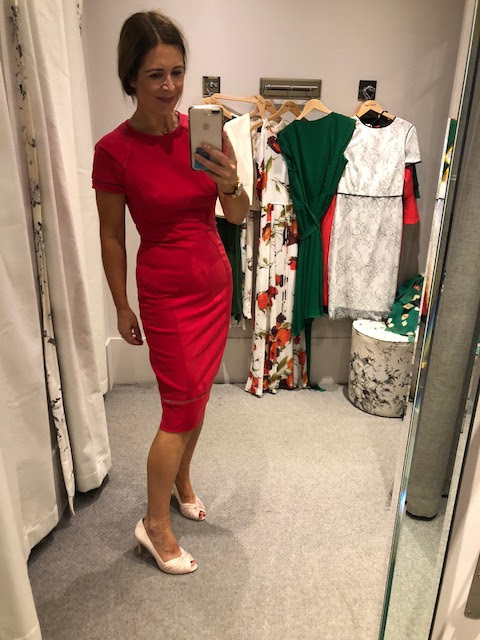 Thank you to Cara & Jamie at Phase Eight for welcoming me to the shop and for gifting me with a dress of my choice. 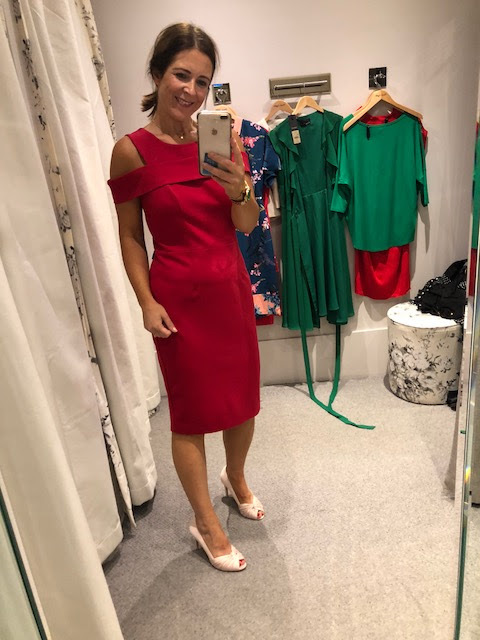 Lots of you contacted me via Instagram to say how useful you found it and to report that you've bought some of the dresses featured so I hope seeing them all on the blog is helpful to refer back to. 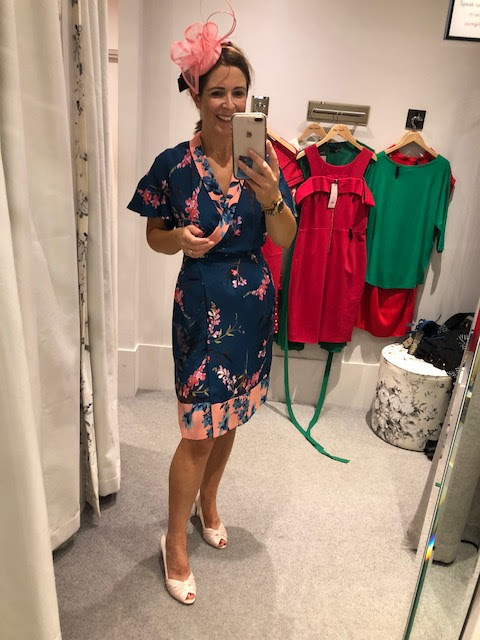 Disclaimer - I was gifted one of the dresses to thank me for me coming in to do this session at Phase Eight Victoria Square. I wasn't paid to come in or to write this blog post. 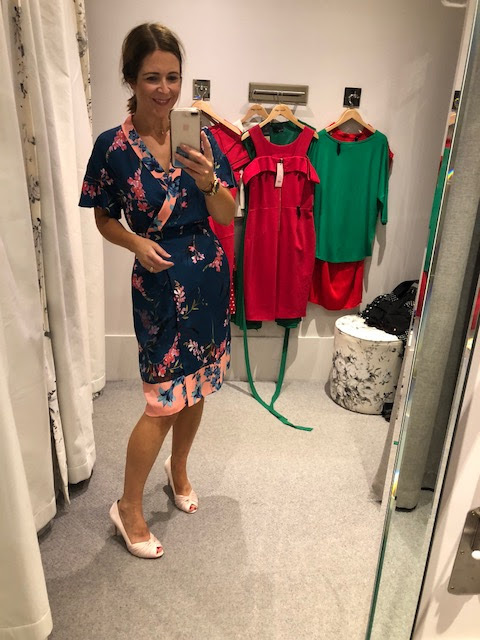 My links are affiliate links which means if you click through to the Phase Eight website, the company know you came from my blog and they may pay me a small commission if you buy and keep any of the dresses. This doesn't change the price of the item for you and the modest income I make via these links helps to cover some of the costs of running this blog....so thank you! Avril, where are you lovely peep toe shoes from?? Gorgeous!!! !